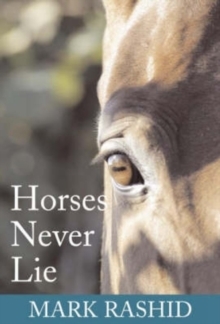 Just like people, horses often grow up with "holes" in their training and education. And again, just like people, they sometimes acquire undesirable habits as they mature.Unfortunately, both issues are usually due to parallel holes and habits in the individuals who handle and ride them: inexperience, ignorance, or both can, over time, fracture a horse's confidence, leading to problems in the relationships he attempts to form with a human partner. When this kind of breakdown occurs, the horse may need to be "restarted"-that is, given a second chance to begin anew. In order to do this successfully, his trainer needs to know how to retrace the steps the horse's education has taken, ready to find the path missed the first time around.Internationally renowned horseman Mark Rashid has made it is his life's work to pinpoint the causes of equine distress that perhaps make a horse's life in the company of humans difficult. 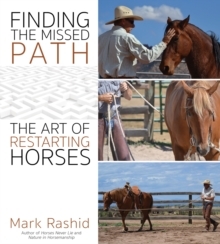 In this book, the first of the expansive library of books penned by Rashid to include dozens of full-color photographs, readers are guided through practical steps for restarting horses, using Rashid's simple, quiet techniques derived from years of study of martial arts.And, in true Rashid storytelling style, dozens of anecdotes entertain while gently revealing important lessons integral to every horseperson's journey.